Devotional and pure, Sophie Cabot Black's voice is one of inconstant waiting, of meditation on edge. 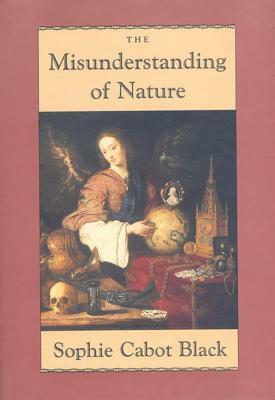 The Misunderstanding of Nature encompasses two New Worlds: the contemporary one and the one of seventeenth-century New England. At its epiphany, this collection presents a long poem called "The Arguments," a monologue in the voice of Dorothy Bradford, one of the first Englishwomen to have set foot in America. Through her complicated search for transcendence, we overhear the movements of learning to belong, caught at the rim of the wilderness. Sophie Cabot Black was raised on a small farm in New England and was educated at Marlboro College and Columbia University. Among her awards and honors are the Grolier Poetry Prize, the John Masefield Memorial Award from the Poetry Society of America, and fellowships from the Fine Arts Work Center in Provincetown and the MacDowell Colony. She lives in New York City.